Interesting is the fact that when we discuss the subject of Wild Horses on Public Lands, and their rights to be there, we discover surprising results. What we discover is that government agencies, the Department of the Interior as well as its subordinate agency, the Bureau of Land Management — simply ignore Law. Ironic, since we consider ourselves to be a Nation of Laws. This ideology is what creates our social-civility as well as humane interactions with others and conduct through our life. These two agencies mentioned here, indeed ignore Congressional mandates that limit, and even prohibit particular management situations of America’s Wild Horses. We can determine from this that indeed, it prohibits the humane and even the ethical treatment of our nation’s Wild Horse Herds, favoring commercialism, the placement of too many cattle onto Public Lands, only for short term profits instead. And yet . . . 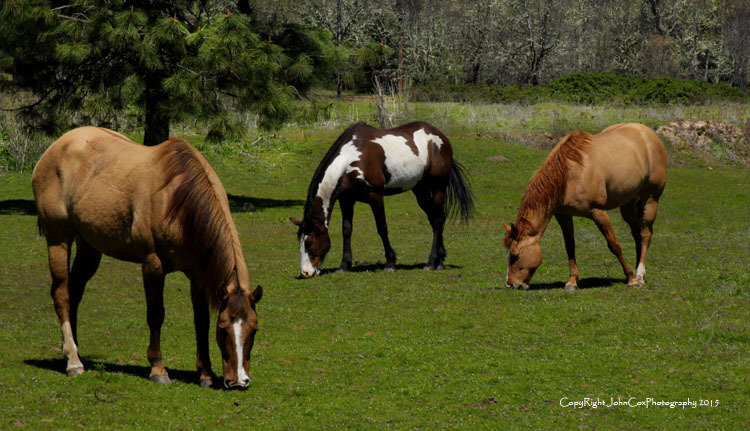 Recently, the profound interest and use of PZP on America’s Wild Horses, is a fact of misinterpretation as well as misinformation leading to such a drastic measure. The misleading and false information that we have only “limited options” and that such a drastic measure as unorthodox breeding-control is acceptable remains troublesome to many. Lies and bad conduct, mixed with government intrusion upon America’s wild life often is of unscrupulous, certainly debatable, and by many considered mismanagement. No options? Really? Within a profound context, and simply a light perusal of our laws governing America’s Public Lands, and that includes America’s Wild Horses, we easily locate a chest full with good and robust options for the correct management of our Wild Horses as well as our Public Lands. Not so ironic, all we have to do is go by several laws already established to manage our Public Lands, which indeed creates diversity as well – I mention this as when we discuss Public Lands, the discussion actually centers around this same diversity of use. When knowledgeable of the subject, yes combating ignorance at high levels of government always an extraordinary experience to say the least, we find many laws quite compatible with not only Public Land Management usage, diversity, but quite receptive to and compatible with Wild Life, to include Wild Horses. In reality that the lands and resources managed by the Bureau of Land Management can best be—and must be—sustainably managed for the American people under the conservation mandate set forth in the Federal Land Policy and Management Act of 1976 (FLPMA). Other Laws do exist, and support one another within this same capacity, i.e. NEPA, the Taylor Grazing Act, and so forth . . . and very similar is sustainability and biodiversity methodology and putting ideology toward common sense solutions and workable resolutions. The Multiple Use and Sustained Yield direction given within FLPMA requires government agencies to be competent, objective, restrain themselves toward professional management (compared to current and unsatisfactory criminal behavior and special interest only endeavors), and to work with well informed responsible public land users. It involves a multitude of resources, uses, and issues perhaps toward equitable resolution, all with major environmental, social and economic consequences . . .
Why is there conflict? The major cause is the misinterpretation of Laws that already exist. The attempts to misinform the American Taxpaying Public, then base pertinent decisions on this misinformation, conclusively generates not only bad management, but spending of taxpayer money, pretty much wasted in total – one can say BLM employees irresponsibly frivolous with so much taxpayer money. FLPMA, for example, has set forth four broad principles, which we all believe should guide BLM. These four principles: Renewability, Adaptability, Stewardship, and Equity, if diligently adhered to in the policy, during the development of plans, and daily on-the-ground decision making in conformity with the FLPMA mandate, can precisely result in the lands and resources of Public Lands being truly sustainable. Misinformation and disruptive special interest priorities have made void these very precise principles and, least we not forget, Law; thereby, we can say this government agency, the BLM, has indeed ignored the law, favoring short-term profit over good management. There is criminal behavior involved in the ignoring of this law as well, when we consider budgets and procurement policies set aside, in particular from fraudulent information in the matters of decisions to provide financing for such knowingly misguided and misinformed conduct. One has got to wonder about PZP, and if a thorough research of the drug, a pesticide, would have been enough for the approval to responsibly Procure using taxpayer money. Evidence shows it was procured, despite the many regulatory situations leading to Procurement that were indeed ignored, or even waived (?) — the situation to purchase violated not only regulatory situations, but Laws as well, both in Procurement and in FLPMA – there is no Long-Term studies available (as noted in the EPA application) that are applicable to the pesticide safety within such environments as Public Lands, or any environmental circumstances other than captivity . . . for that matter. This is very serious within itself. Then we can also go to the very real situation of Environmental Assessments, for example, are not in accord with FLPMA or the intent what so ever – to manage Public Lands appropriately and by law. Further perusal of such items as EA’s or the use of PZP by a government agency, and we also discover several Procurement regulatory situations as well as Laws broken . . . fraudulent behavior, which is nothing more than to supply a government agency with false or misleading information to obtain taxpayer money. “The term “multiple use” means the management of the public lands and their various resource values so that they are utilized in the combination that will best meet the present and future needs of the American people; making the most judicious use of the land for some or all of these resources or related services over areas large enough to provide sufficient latitude for periodic adjustments in use to conform to changing needs and conditions; the use of some land for less than all of the resources; a combination of balanced and diverse resource uses that takes into account the long-term needs of future generations for renewable and nonrenewable resources, including, but not limited to, recreation, range, timber, minerals, watershed, wildlife and fish, and natural scenic, scientific and historical values; and harmonious and coordinated management of the various resources without permanent impairment of the productivity of the land and the quality of the environment with consideration being given to the relative values of the resources and not necessarily to the combination of uses that will give the greatest economic return or the greatest unit output. Sustainable development balance is relatively easy de novo, but what happens when sustainable management decisions negatively impact the expectations and benefits deriving from precedent social and economic values and uses of public lands and resources? The answer to that question usually involves bureaucratic mandates, political trumpery and litigation. The principle of equity means that sustainability for the public lands can not come about overnight, rather it requires a fair and orderly process over sufficient time to reasonably adjust historical expectations and accommodate the social and economic changes concomitant with that adjustment. This will require longer term thinking than public land agencies usually apply (unfortunately never apparently exceeding four years). A very strong reality, the fact that BLM conduct should be predicated in accord with law, rather than ignoring and generating questionable situations and many situations even contrary to law, would make the Public Lands landscape superior just from attritional aspects – basically doing the right things to manage our Public Lands . . .
By the same token, the sustainability principle of equity requires adequate reimbursement in support of Public Land Management in return for the profits and benefits made possible through the use of those lands and public resources. This process must account for and assure to the Public Lands appropriate reimbursement for the external costs of public land and resource uses. Addressing this principle will require a change in historic laws and policies such as the Mining Law of 1872 and grazing fees where a responsible market value of the resources taken is not presently returned to the public to pay the costs of Public Land Management. These factors also control the usage, rather than random use and unorthodox welfare ranching practice of receiving subsidies for nothing, other than high-profits – the American Taxpayer receives nothing (zero) even though paying these high subsidies to welfare ranchers where they purchase planes, new RV’s, Boats, their kids to college, mansions, pools, and we are stuck with their bills. Biodiversity can simply be defined as the variation of life at a given site or ecosystem. However, it is through this diversity that natural systems adapt, evolve, and thrive. This link is so strong that the term biodiversity is regarded as synonymous with ecosystem health. Diverse ecosystems usually have “increased stability, increased productivity, and resistance to invasion and other disturbances.” It is these features that make biodiversity desirable within a given biological community/biome. Most importantly, biodiversity holds enormous value for the entire planet! Many of us find it disturbing that DOI / BLM misinterpret, and on many occasions even ignore America’s Laws in regard to Public Lands Management. 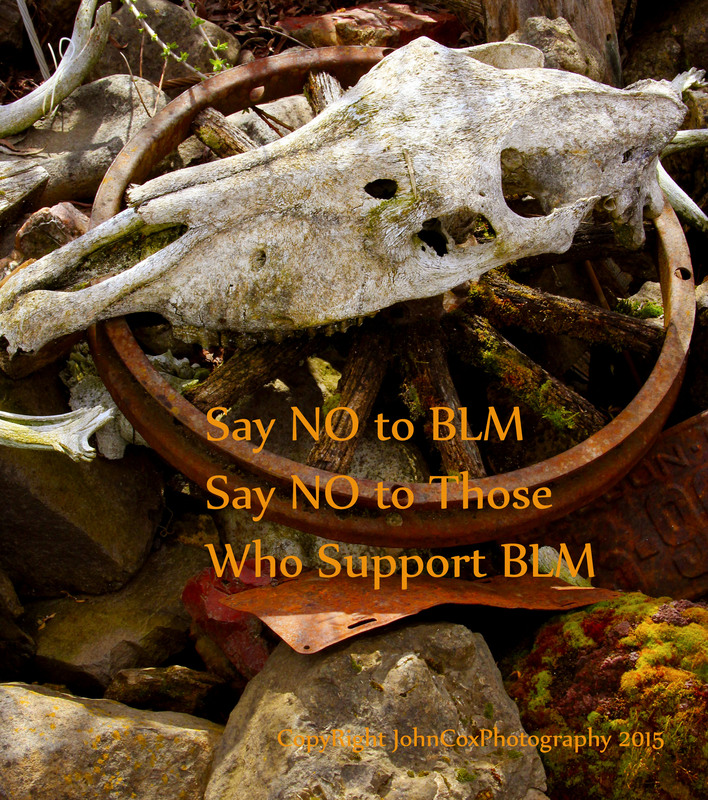 The astounding fact is the BLM is a cirrupt government agency, where they represent commercialist endeavors, and to hell with all else – and that includes human and wildlife – the ethics and morals of this government agency can be well-defined as — Having None! The PZP situation, ignoring of Environmental Assessments, taxpayers covering the cost of horses being stolen from BLM inventory and sent to slaughter, the corrupt Welfare Ranching Program, and on and on. . . Illegal? Absolutely! Being done? Yes, and well confirmed by not only observation and witnesses, but BLM’s own government paperwork. Can Public Lands survive? Only if the laws, policy, and regulatory aspects of land management, already in place and perfectly functional, are used. The fact is the BLM is the most litigated government agency in American History – not because of land-litigations, but because the BLM ignores current laws and policies they are directed to obey. Restructuring and ridding the BLM of many current employees, many criminals, can indeed make it a superior agency – but the way it is now, it is absurd and a waste of taxpayer money – Wild Horses depend on us, just as our environment – and nothing can survive the ever present and current criminal behavior that exists right now, and within the BLM / DOI. Leopold, Aldo, “A Sand County Almanac.” Oxford University Press. 1949. American’s, the taxpaying public, needs to start looking at – and understanding what the problems are, existing right now on our Public Lands. Ignoring such a large segment of our lands, and the management conducted by the Bureau of Land Management (i.e. BLM), has led to nothing less than criminality and single-purpose destruction by industrial and corporate entities – who indeed remain untrustworthy and even irresponsible toward America’s needs, taxpayer dollars, America’s wild horses, and Public Lands. Public Lands, or what is termed “The Smell of Money” – diversity, mainly Special Interest and Lobby Groups, who fulfill their needs of high-profit methodology only. The sacrifice of our Public Lands, and the ever present and extensive destruction, both to land and wildlife, quite costly, and with taxpayers having no idea they subsidize this destruction daily — in the $-billions of dollars yearly. The GAO (i.e. Government Accountability Office) states in several reports it costs the American Taxpayer $450 million yearly just to administer Welfare Ranching and the BLM Grazing Permit program – this is a program for ranchers to graze their cattle on Public Lands. Subsidies for ranchers and corporations on Public Lands and on a yearly basis, are given directly — $-millions of dollars more. Ironically, the demand by these Welfare Rancher’s to remove Wild Horses from Public Lands, which also cost millions of dollars more, and on a yearly basis to complete, certainly compound the Public Lands expenses tremendously; although, if the Wild Horses left alone, would cost American Taxpayer’s next to nothing. The Bureau of Land Management, or what some term as a government agency that is in reality a Special Interest and Corporate Clone, ignores Federal Law and legislation. Instead this Public Lands Management oversight agency ignores its legislative purpose of managing for multi-purpose use, then simply segments into Special-Interest use only – while ignoring ethics and actual-reality and honest Stewardship. By the way, and certainly not to be ignored, it is of paramount reasoning for taxpayers to subsidize within a budget approved process, these government agencies – the BLM and DOI, with the use of taxpayer money entirely. It is time to question this financing as well, and the implications as to why explained within the context below – a few reasons of many, many more that exist. . . The BLM ignores the Wild Free-Roaming Horses and Burros Act (WFRHBA) which provides protections to wild horses and burros on lands where they existed in 1971; as well as FLPMA, Taylor Grazing Act, NEPA, and other laws that involve protections of our Public Lands that directly prohibit destruction or abuse by ranchers and industry. They permanently removed, and continue at a costly price, wild horses and/or burros from approximately 22.2 million acres, and blame the wild horses for the destruction. Ridiculous? Absolutely! Founded on Fact? Not at all, and none exists! 4. substantial conflict with other resource values; legal decisions or for other reasons. But the situations here compounded, and disastrous to America’s Wild Horse Herds . . . “The capture, handling, and transportation process inherent to wild horse removals has destroyed wild horse bands, disrupted social dynamics of wild populations, and led to injuries and deaths of captured animals. While some amount of injuries/mortalities are expected when handling wild animals, many of the incidents that have occurred are entirely preventable; the result of negligence, abusive capture techniques, or cruel handling practices employed by those contracted to conduct the roundups. This author, after thorough research has found no official definition of a “thriving natural ecological balance” (TNEB) given to the public by any government agency, especially the BLM or DOI. This becomes extremely significant, as this is what defines the measures used by the BLM to assess whether a TNEB exists. But not so ironic, without a formal definition TNEB criteria, or standards to assess TNEB, the BLM has an awkward discretion in determining if a TNEB exists or not. This provides the BLM the opportunity to make claims that a TNEB does not exist which are then difficult to challenge. Further, it sets-up a definable illegal-aspect of fraud. Well defined within government procurement policy and law, (in author synoptic form here) that situations must develop within a well-defined parameter of management and actual operational aspects via pre-explained and well structured and objective plans; in another words, to actually explain in well-defined terms, the reasoning for not only an appropriate budget expense while using taxpayer dollars (often in the millions of dollars), but to summarize the necessity as well as the management principles to appeal to such an arrangement. Does it actually resolve a problem, or create new problems? So in reality the TNEB becomes nothing more than Cart Blanc or a freestyle-spending of taxpayer money, because no objective is ever given on such false and undefined, lack of data procedure. Although, what we do discover is more problems, and not so surprising, cost taxpayers much more money; as well we cannot neglect the situation job-security for the managers of such cumbersome and non-factual circumstances – to simply spend taxpayer money even more freely, and with little to no transparency or explanation while doing so. Facts and Data? Just immaterial to a BLM employee and their supervisory staff. No one is watching – because no on really knows what is the ongoing situation on Public Lands. But if it was defined, then most often there would be the big question – Is this Legal and is it Needed? And most often the aspects and reasoning for a roundup would not be applicable, needed or required, or legal. But the aspect of the overabundance of cattle would become prevalent, would it not? Of course it would, because this is the only reality-fact of this entire circumstance, the cattle, the overall and factual reasoning toward the destruction of Public Lands. The BLM claims that such removals are required to restore the “thriving natural ecological balance” and to permit “multiple-use” of the land. But the fact is the situation has always been questionable; especially when no legitimate facts or data is given for the extreme and costly roundups. The fact is the subject of cattle, or even the mention of cattle have been taken from any Range Management Research – or decision makers have been told to simply ignore the facts of the cattle and their destructive elements of grazing. Once again, these government agencies are responsible for spending large amounts of taxpayer money, in the $-millions, and for corrupt data, no data, bad science. Budgets are based on this information often within government procurement situations. Bad Science + False information = Costly / Corrupt Decisions. There is a fact here though, the fact of no-resolution achieved. What follows is simply compounded – to cover-up a bad decision (incompetence actually) other programs such as PZP and breeding control started, costing taxpayers millions more in hidden agenda budgets, grants, and scholarships; which have become quite outstanding currently. This comment, he tried to make us believe, would resolve the “no data present” issue and cover over 30 years of no data – the PZP questionable today, and highly suspect in regard to unsafe or unwanted and extreme negative health situations – the data if accurate, would have pointed this out and prevention or No Sale to this government agency would have developed. Instead, it is based on false information as well as no information what so ever – so BLM incompetence strikes again, and again . . . Currently, there is no way to check for the hazards of PZP, other than experiment on the Wild Horses, costing taxpayers $-millions of dollars more, even though the PZP program did fail in 1996 and for similar reasoning brought up here – bad data, no data, and incompetent handling of wild horses, and horses health and ecological systems placed into jeopardy. One has got to suspect how costly the next situation will cost the taxpayers, to cover up the falsehoods of the PZP situation, that is covering up the falsehoods of the roundups situation, that is covering up the falsehoods of BLM personnel, who are in reality extremely incompetent and do not know much about wild horses or their band behaviors. This is the way BLM operates. If the data not there, well, of course they know what they are doing, after all it is in their heads. The problem is the fact it is in their head, and the dollar signs for everyone involved are quite overwhelming at times – and while covering up this situation, they have also hidden the fact, due to no transparency, that none of those involved in the Wild Horse and Burro Program are really qualified to do so. I think it legitimate to state, unequivocally, it is time for change – To actually get the BLM out of the wild horse management business – The taxpayer money extended to this government agency is simply a waste of money and waste of time – Many of us would like to see these situations investigated, as taxpayers also pay a substantial amount of money to be protected from criminal behavior within government agencies. . .
P.L. 91-190; 42 U.S.C. §§ 4321-4347. For more information on U.S. Customs and Border Protection (CBP) compliance with NEPA and the environmental impact of its border security programs, see CBP, “SBI Environmental Documents,” http://www.cbp.gov/xp/cgov/ border_security/otia/sbi_news/sbi_enviro_docs/. R42138, Border Security: Immigration Enforcement Between Ports of Entry, by Marc R. Rosenblum. GAO-11-177, Border Security: Additional Actions Needed, p. 4. GAO-11-177, Border Security: Additional Actions Needed, p. 15. U.S. Dept. of Agriculture, Forest Service, Fiscal Year 2012 President’s Budget: Budget Justification, p. 16-45. This estimate of the deferred maintenance for roads reflects passenger-car roads. Including high-clearance roads, the total estimate of deferred maintenance for roads is $4.4 billion. Using this total roads estimate would yield approximately a $6.56 billion overall estimate of FS deferred maintenance. This information was provided to CRS by the DOI Budget Office on May 10, 2011. See Assessing Forest Ecosystem Health in the Inland West, ed. R.N. Sampson, D.L. Adams, and M. Enzer (New York: Food Products Press, 1994); see also CRS Report RS20822, Forest Ecosystem Health: An Overview, by Ross W. Gorte. See CRS Report R41691, Forest Management for Resilience and Adaptation, by Ross W. Gorte. For NPS: U.S. Dept. of the Interior, National Park Service, Land Resources Division, National Park Service, Listing of Acreage by State, as of 12/31/2010, unpublished document. Data reflect federally owned lands managed by the NPS. For information on acreage by unit, see the NPS website, http://www.nature.nps.gov/stats/ acreagemenu.cfm. For FWS: U.S. Dept. of the Interior, Fish and Wildlife Service, Annual Report of Lands Under Control of the U.S. Fish and Wildlife Service, as of September 30, 2010, Table 2, http://www.fws.gov/refuges/realty/archives/pdf/2010_Annual_Report_of_Lands.pdf. Data reflect all federally owned land over which the FWS has sole or primary jurisdiction. For BLM: U.S. Dept. of the Interior, Bureau of Land Management, Public Land Statistics, 2010, Table1-http://www.blm.gov/public_land_statistics/pls10/pls10_combined.pdf. For DOD: U.S. Department of Defense, Office of the Deputy Under Secretary for Installations & Environment, Base Structure Report, Fiscal Year 2010 Baseline (A Summary of DoD’s Real Property Inventory), VIII. Total DoD Inventory, pp. DoD-36 to DoD-78, http://www.acq.osd.mil/ie/download/bsr/bsr2010baseline.pdf.